Some of you may know I grew up at a beautiful riding school called Sweetbrier. 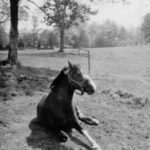 Today we’ll talk about some of the great ponies who lived at Sweetbrier. As you might imagine, we had many notable ponies. Let’s talk about my sister Holly’s great pony, Dark N Fancy. He was medium- sized with unusual white marking. Holly started showing him when she was eight-years-old. What a team they were! She even taught this adorable pony to bow and give her kisses. How cute is that? 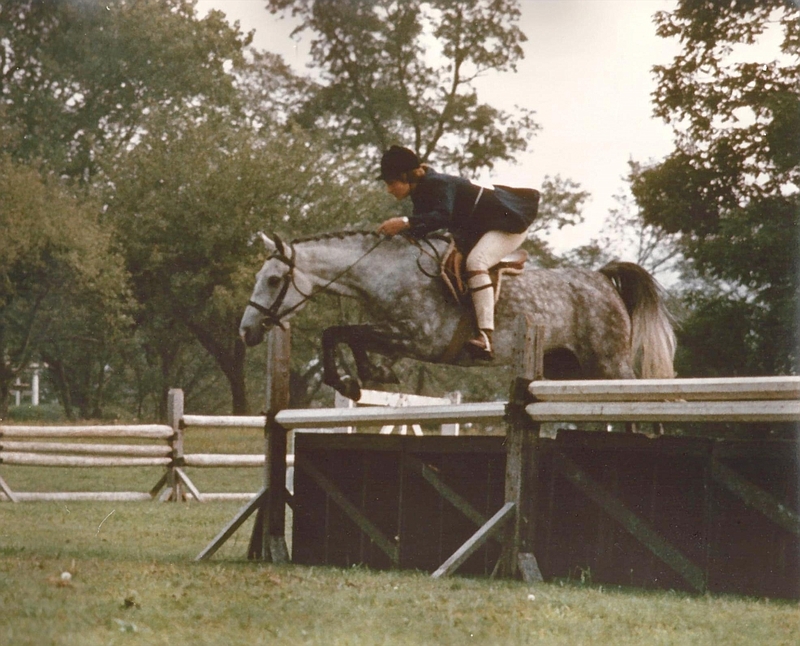 Even though Dark N Fancy was adorable, other ponies we owned had charm and talent. For example, we can’t forget my mom’s Arabian pony, Chiefie. My dad taught Chiefie to do tricks like lying down to play dead, count, and sit down. 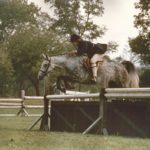 He was surely one of the most incredible ponies ever. only 10.2 hands high (42 Inches) but she could jump three feet. Isn’t that incredible? These are a few of the great ponies from Sweetbrier. But of course, there were others. I hope you enjoy learning about these talented ponies. 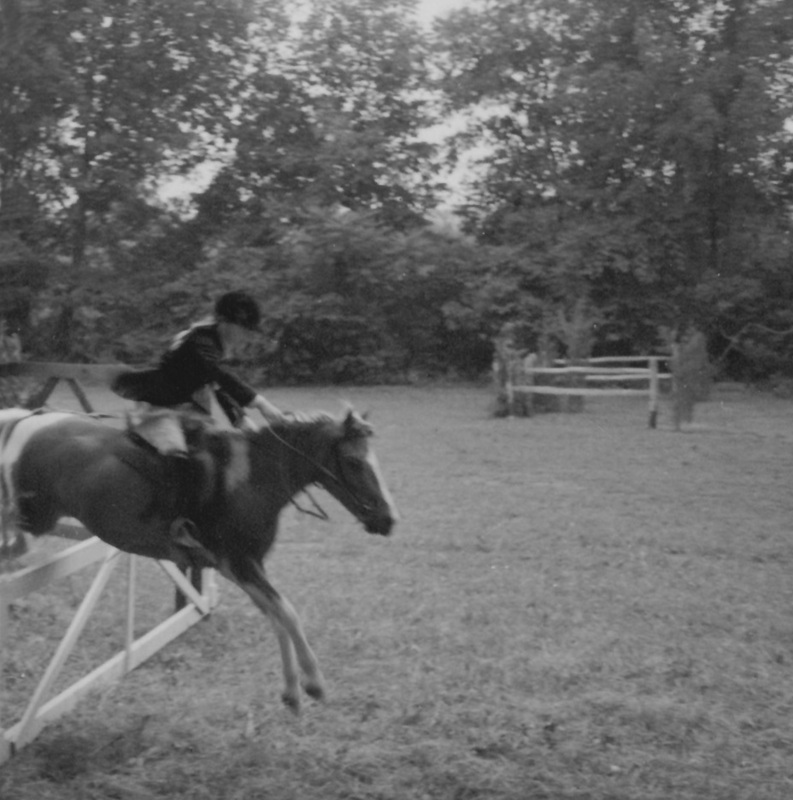 Holly and Goldie jumping at home. 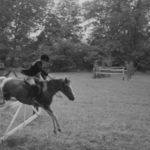 The post Great ponies: Sweetbrier appeared first on deaniehumphrysdunne.wordpress.com.